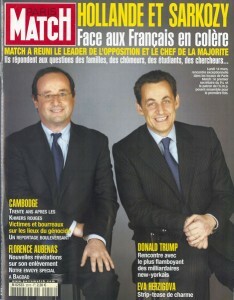 Hollande and Sarkozy posing for Paris Match in order to defend the 2005 referendum on the EU constitutional treaty. At that time, they failed together. After yet another eventful week marked by Hollande’s renouncement television address, French citizens can now be sure that neither of their two last presidents will be on their ballots for the presidential elections next spring. While the media would have loved to play a game of thrones, unfolding the ‘revenge’ narrative and ask Sam to play again his song about ‘hearts full of passion, jealousy and hate’, to many voters this comes as a relief. Not so much really because of their relative failure with regard to the unrealistic pre-election promises and over-the-top reform announcements they were virtually forced to make by the highly antagonistic nature of French political culture. It is true that once in office, all French presidents since Mitterrand’s election in 1981 were caught in the pitfall of having to live up to the expectations they were obliged to raise with their electorate, while patently knowing that it was impossible to keep them. And none of them would have been re-elected, had it not been for the stupidity of the opposition (Mitterrand in 1988) or the need to fence off the Front National (Chirac in 2002). Which amounts, by the way, to a total of three decades of successive high hopes and disenchantments. The real reason why Sarkozy and Hollande were considered unfit to run again by a large part of the population is in the concept of ‘embodiment’. Charles de Gaulle had a certain idea of France, and he also had a certain idea of its presidency and how to incarnate it. For all the pompousness of protocol, the lovely oxymoron of the ‘Republican monarchy’ has become a famous and altogether fitting metaphor over the years. Both Sarkozy and Hollande were happy to use the extent of power granted to the Royal at the head of the French state. But they underestimated to what extent certain expectations with regard to conduct, behaviour and speech were inseparable from the function. Both can be said to have irremediably damaged the Gaullist ideal-type of the president. 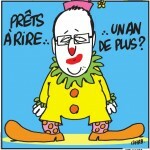 In fact, they have become the joint undertakers of French presidency. Oh, they clearly enjoyed some of the privileges that come with the job. Like the incredibly stupid role play during press conferences in the Elysée, where follow-up questions are not permitted, which allows the president to answer totally beside the point or ridicule the defenceless journalist who spoke out an uncomfortable truth. Or the game of condescendingly putting cabinet members (including the Prime minister) in their place who implemented policies decided by the president but turning out to be unpopular or impracticable. But neither of them understood that living up to the function would have required them to stay out of down-to-earth policy-making, delegate much more to their Prime minister, and make themselves rare. The presidential word is powerful only if it is scarce, solemn, and exceptional (and, ideally, slightly enigmatic). 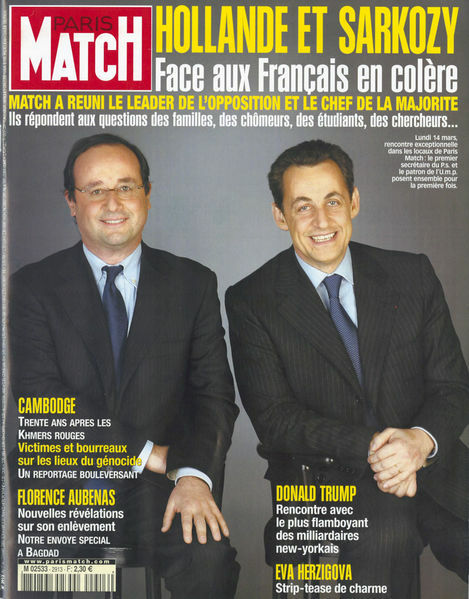 Sarkozy and Hollande were omnipresent, they simply talked too much. Sarkozy’s obsession with being in the limelight and show just how much he was in charge of everything, as well as his strategy of inundating the media with an uninterrupted flow of announcements to make sure they simply would not have the time and resources to follow up on them later, have earned him the nick-name of ‘hyper-president’, with all the connotation of ADHD this term implied. 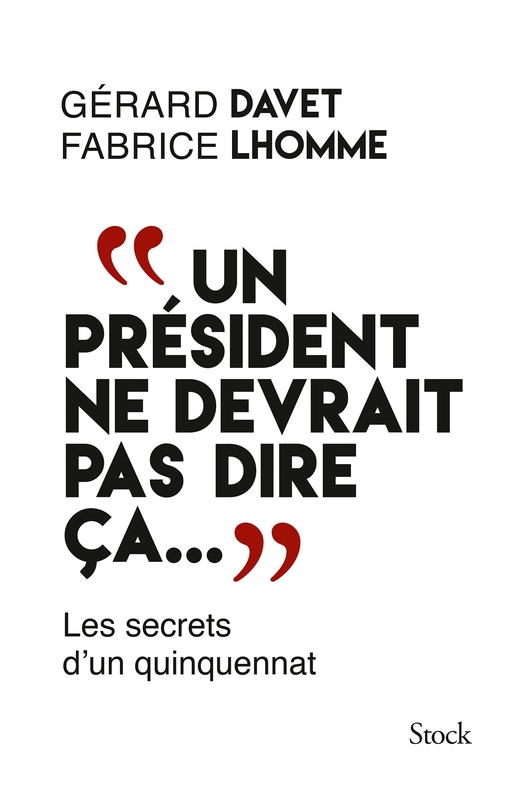 Towards the end of his term, he visibly tried, following the advice of his communication guru Patrick Buisson, to ‘represidentialise’ (believe me, the word exists in French) both his personality and his behaviour. To no avail, the harm was already done. 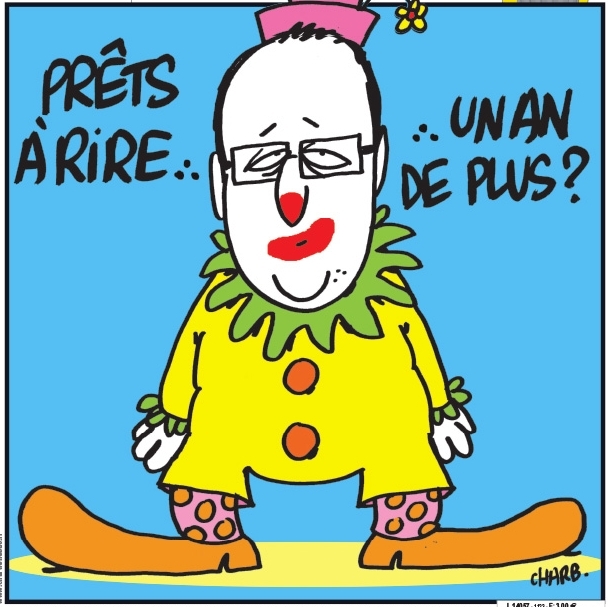 Hollande was just as effective as an undertaker. The very pre-electoral promise to be a ‘normal’ president was incompatible with the Fifth Republic’s design. A president who is normal, is useless. And a president who needs to juggle simultaneously with the hysterical (though justified) jealousy of his official partner, the presence of his ex-partner and mother of his four children in his own government, and the breakfast croissants he takes on a scooter to his second mistress is no longer an impressive womaniser (even for the permissive French who are rather tolerant in these matters), but comes closer to a clown. Even Sarkozy, who like a teenager before his parents stood before the press saying ‘with Carla, it’s serious’, looked less ridiculous in comparison. 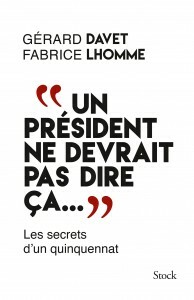 When Hollande recently accepted the publication of the tell-all book written by two Le Monde reporters after hours and hours of interviews with the President, he probably thought that ‘A President Should Not Say That’ was a nice tongue-in-cheek title. As a matter of fact, the phrase turned out to be a 100% accurate summary of his entire misjudgement of expectations and mismanagement of his presidential function, annulling all efforts to react in a statesmanlike manner to the terrorist strikes against France. What the ten years under Sarkozy and Hollande boil down to is the ‘desacralisation’ of the French presidency. It’s not entirely their fault. De Gaulle and Pompidou did not have to face up with a highly increased demand for transparency in decision-making, with the reactivity of social media, with fact checkers and fake news, and the overall acceleration and hysterically repetitive character of the political debate in the age of on non-stop news channels. The next president will have to reconcile historically grown expectations, the damage done by his/her predecessors, and contemporary pressure on an office that seems increasingly out of sync with what 21st-century democracy would need. When Harris Interactive asked the French in a representative poll one month ago whether they considered ‘the capacity to embody the presidential function’ an important criterion in their choice next spring, 79% of them agreed. Unsurprisingly, younger voters seemed slightly less sensitive on this issue (still, they are 65% to agree among the 25-34 age-group). At the same time, only Alain Juppé was deemed to possess this capacity by more than half of the respondents. By over two thirds Sarkozy, Hollande and Le Pen were considered ‘poor’ embodiments of the presidency, while Fillon, Macron and Valls scored only slightly better, rated ‘poor embodiments’ for 57-59% of the respondents. Whoever will be the successor of the two ‘undertakers’ Sarkozy and Hollande, her/she is likely to have a very hard time to live up to the legacy of de Gaulle and the tacit, but persistent expectations of the citizens. This is post # 6 on the French 2017 election marathon. This entry was posted in Current Affairs, Global & International and tagged Charles de Gaulle, democracy, elections, France, France 2017, François Hollande, French politics, Nicolas Sarkozy, presidential elections. Bookmark the permalink. Next: France 2017: Jerrycans for Christmas! I have been following your European Notepad with great interest, I now do it all the more as I have some french background. I watch french politics from abroad, your 2016/2017 focus is therefore another good reason to keep this habit of reading you here. Your post does not mention the shift from “septennat” to “quinquennat”. A reform made by President Chirac, who himself, as a consequence, only served a 5 years second mandate (otherwise he would have equalled President Mitterand 14 years, a record under the French Fifth Republic). No, it definitely has not helped. The reduction from the ‘septennat’ to the ‘quinquennat’ was mainly motivated by the wish to avoid any further ‘cohabitation’ between a president and a government from different political camps. Cohabitation was considered paralysing (but it was not by essence, it rather depended on the individuals involved). What was worse than the move to the quinquennat was the change in sequence: the presidential election was to be held prior to the legislative elections (and has been ever since). 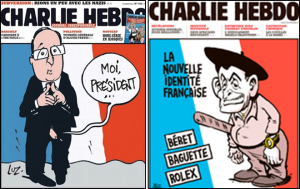 Everything now depends on the presidential election, which has become the focal point and, actually, straightjacket of French poltics.